Some holidays are for presidents; others commend our veterans. There is even a day on which a big, jolly, white-bearded man gets his time to shine on a sled flown by reindeer. But most can agree, all days of observation are a great excuse to bake and devour festive cupcakes, because nothing represents occasion and indulgence like a buttery, frosted mini-cake that can be decorated with colors, themes and sprinkles to fit each and every annual celebration! Here are a few specialty cupcakes for distinct dates marked on the calendar. Labor Day means work off and barbeque time! While friends busily occupy the grill, you can build your own burger, fixings and all. 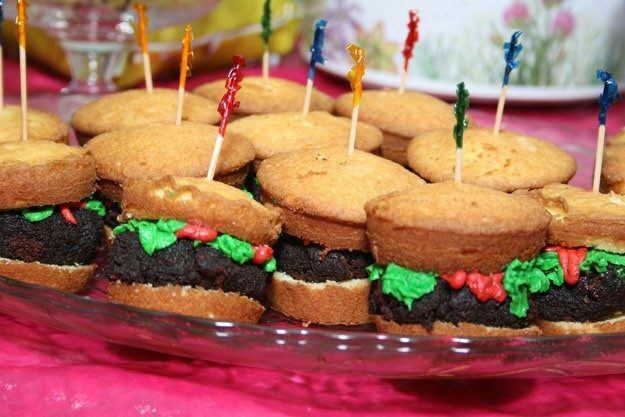 The hamburger cupcake has the best of both worlds – vanilla cake acts as the bun and chocolate is sandwiched in between. This “meat” is extra delicious – chocolate cake mix and chocolate frosting combine to form a malleable patty. Don’t forget your toppings – yellow fondant (moldable icing) for the cheese, plus green and red frosting equals lettuce and ketchup. What’s spookier than the feeling of being watched? Eating a cupcake that is literally staring at you while you consume it. 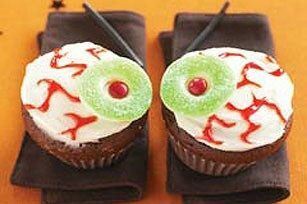 Halloween cupcakes – “eyeball” cupcakes to be more specific, are the ultimate way to creep out party guests. You can thank our friends at Kraft for these delicious eyeballs, which consist of a chocolate cake batter that is blended with chocolate pudding mix. Once the cups of cake are baked, a butter/cream cheese/vanilla mixture is spread over to resemble the sclera (white part of those oglers), which is then beautified with gummy rings to embody the iris and strawberry chewy fruit snacks for pupils. Throw in some bloodshot with red icing throughout. So creepy it will guarantee chills. The original recipe here for more creepy and yummy Halloween cupcake ideas. 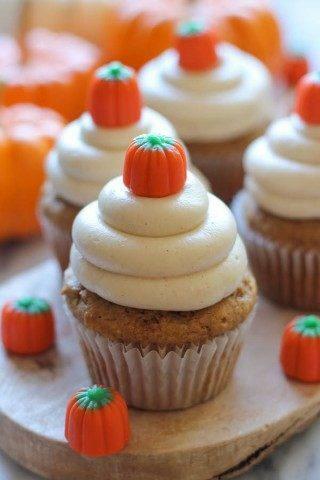 Pumpkin and Thanksgiving go hand in hand – it’s as simple as that, and so is this pumpkin cream cupcake recipe. A tasty concoction of cream cheese and egg is spooned onto pumpkin-infused spice cake batter then baked in the oven to gobble-feasting excellence. Instead of contributing pumpkin pie to the Turkey Day table (which you know someone else is probably going to bring), raise the standard with delightful pumpkin cream cupcakes. Infamous red velvet cupcakes can take an eight-day vacation on behalf of Hanukkah and this blue velvet cupcake menorah. Packed with hints of cocoa, blue velvet cupcakes are created with royal blue food coloring to match a symbolic hue of the Jewish holiday. 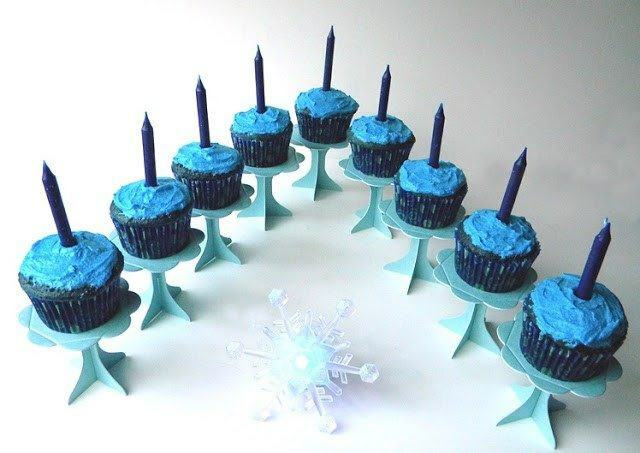 A blue buttercream frosting lies atop to keep to theme and blue Shabbat candles to finish, forming a twinkling menorah. Thanks to dark chocolate cupcakes with peppermint marshmallow cream filling, picking the perfect Christmas tree just got easier and more eatable. Decorated with green and red swirls of Swiss meringue buttercream, edible ornament décor, and capped with the very necessary bright and shining star, these cupcakes scream “Ho! Ho! Ho!” Not to mention, each chocolaty bite holds the gift of peppermint marshmallow cream filling prepared from marshmallow fluff and organic peppermint extract for that candy cane zing. New Year’s resolutions are meant to be broken – break your resolve to shed those lbs. 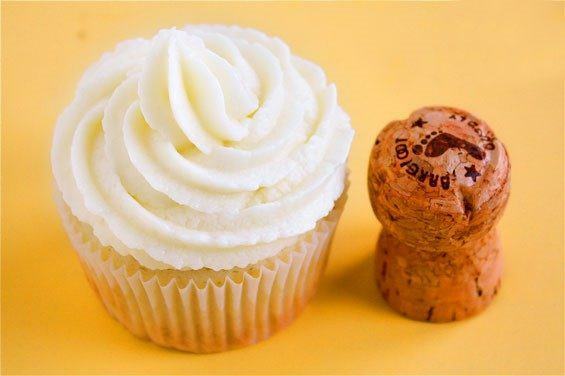 by “cheers”-ing champagne cupcakes with sweet champagne buttercream frosting. The treat presents a light and airy texture much like the bubbly features of celebratory sparkling wine and has just the right amount of sweetness from the champagne. Additionally, the champagne buttercream frosting whipped from powdered sugar and butter is a decadent complement to the flute of cake. A holiday without cupcakes is no holiday at all. Fortunately, you now know a handful of cupcake ideas to help you observe the remaining holidays of the year in proper manner.